Possessing any controlled dangerous substance (CDS) in New Jersey is illegal, but obtaining CDS by fraud, misrepresentation, forgery, or deception is a distinct offense that is considered a third degree crime. This charge is most often related to the methods by which a person acquires or attempts to acquire prescription medication. A conviction carries up to a $50,000 fine and a maximum state prison sentence of five years, according to N.J.S.A 2C:35-13. Obtaining CDS by fraud is often further complicated because it is combined with other drug-related crimes, including prescription forgery or prescription drug theft. The ongoing prescription drug addiction crisis in New Jersey and across the nation has shed additional light on this type of crime in recent years, so it is something that prosecutors are taking very seriously. If you or someone close to you has been charged with obtaining CDS by fraud in Essex County, New Jersey, you need the experience of trial-tested criminal defense lawyers to navigate you to a successful outcome. Don’t trust just anyone with your freedom on the line. The criminal defense attorneys at The Tormey Law Firm have extensive experience defending clients against prescription fraud and similar charges. 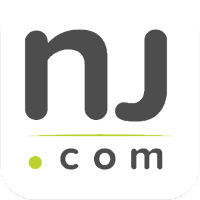 With offices in Newark, we regularly appear in courts in Montclair, Bloomfield, Glen Ridge, Verona, Livingston, Nutley, West Orange, and throughout Essex County, NJ. We always take the time to understand the circumstances of your specific case, comb through the evidence, and identify the avenue that positions you for the best possible outcome. For a free consultation with a prescription fraud defense lawyer, call us at 201-654-3464 or contact us online. If you’ve been found in illegal possession of a prescription drug, the authorities will question where you obtained the drugs, which often leads to the companion charge for obtaining CDS by fraud. The same thing applies if you’re accused of participating in a scheme to illegally procure prescription drugs. What are the Penalties for Obtaining CDS by Fraud? As mentioned earlier, a conviction for a violation of N.J.S.A. 2C:35-13 may lead to an incarceration of up to five years and a maximum $50,000 fine. However, a knowledgeable attorney may be able to cast doubt upon the prosecution’s argument, negotiate a plea deal, or facilitate your entry into a diversionary program to keep your record clean and help you avoid jail time. For example, the Pre-trial Intervention Program (PTI) offers first-time offenders charged with eligible offenses in New Jersey the opportunity to have their charges dismissed by successfully completing a period of probation. If you have been arrested for obtaining CDS by fraud, possession of prescription drugs, or another drug crime in the Essex County, NJ area, you need the experience of a skilled criminal defense attorney on your side at this critical period. Protect your future by contacting The Tormey Law Firm for a free initial consultation. Call 201-654-3464 to discuss your case and learn more about your legal options. You can also schedule an appointment at our Newark office.